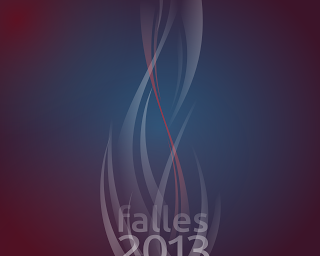 As we celebrated the Samhein or the New Year with a Lubuntized wallpaper, now it’s time to make another one dedicated to my beloved fiesta, at the city of València in Spain, called Falles. For those who don’t know what’s this about, just tell them it’s an ancient cult to the fire itself, as a life renewal symbol and the joy of passing through seasons (from autumn into spring). And they do this burning paper-made monuments (ephemeral art) that represent bad things of the year.